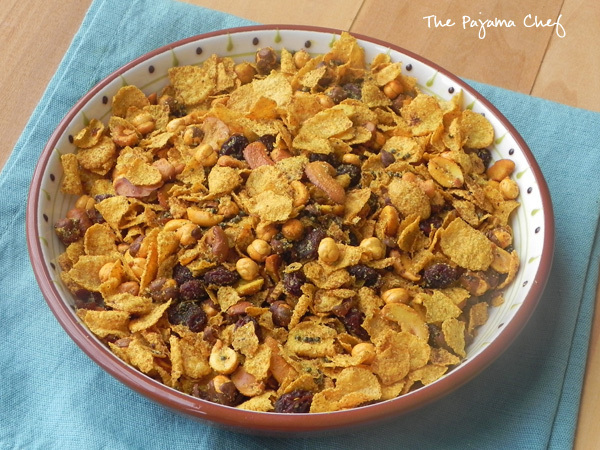 This Indian snack mix is full of nuts, raisins, and corn flakes. It’s sweet, spicy, and oh so delicious! Normally I deliberate a bunch on my Secret Recipe Club recipe selection. Not this time! 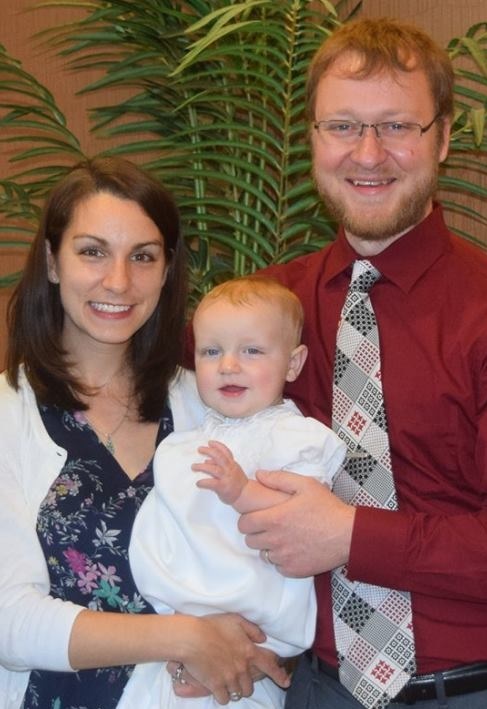 I was assigned to Trisha’s lovely blog, My Hobbie Lobbie. Trisha lives in Sydney, Australia but she moved there from Mumbai. 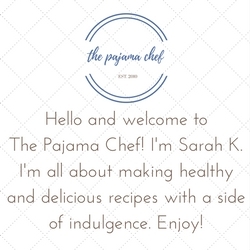 Consequently, her blog is a huge treat of international cuisine! Mainly Indian food, of course, but she has traveled all over and has tons of fun recipes to share. 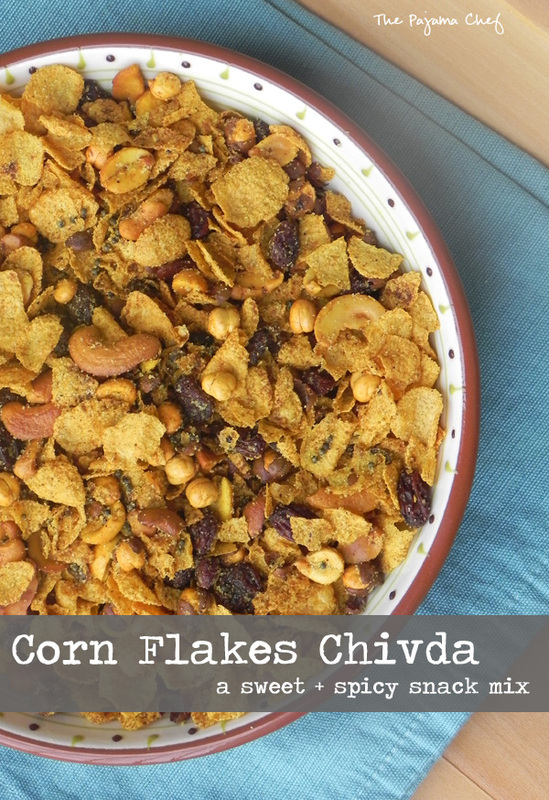 When perusing her blog, one of the first things I was drawn to was this savory snack mix that used cornflakes! I love cereal and just thought it sounded delicious. I didn’t want to be too hasty, so I did consider other things like Homemade Mayonnaise, Samosas, and Crushed Black Pepper Crackers. But in the end, Corn Flakes Chivda drew me in, mainly because I was looking for an excuse to hit up one of the [many] international markets in Nashville. One of the best things about living in Nashville is the abundance of international groceries and markets. I always say I’m going to check them out, but you know how things go… when you’re busy, you just hit up the local Publix or Kroger. It’s just easier. So I make myself go to these places but picking recipes to make for blog events that REQUIRE a specialty store. Sometimes it stresses me out, but it’s always worth it! So Saturday, Ben and I headed to our favorite local Turkish restaurant [Istanbul Cafe, for local folks] for lunch and then headed to the Indian grocery down the road. It was so fun, and this snack mix is well worth the effort required to get any ingredients you may not regularly purchase. Ben and I are now totally addicted to this snack mix. In fact, I’m crunching on some right now. It’s sweet with a little bit of spice. It’s not spicy hot, but if you don’t want any heat I’d just leave out the cayenne powder. Trisha’s original recipe includes several types of chiles, but I only decided to use the cayenne. This snack mix is her husband’s favorite, and it’s a great recipe to change up based on your family’s preferences. I used cashews, peanuts, raisins, and chana dal as Trisha’s recipe stated, but you could use your imagination to choose whatever dried fruit or nuts you like. It was pretty cool to read this recipe at the Indian grocery and compare it to the selection of snack foods they sold. There was totally a cornflakes-based snack mix there, and I made my own at home! The one component of this recipe I had to change up was using curry powder instead of curry leaves. I wasn’t able to find any of those, but if you can, use ’em! This came together in a flash, and I’m sure I’ll be making it again soon! Heat the oil in a large pan over medium heat. Add mustard seeds and let sputter for a minute or so. Add chana dal, cashews, and peanuts and saute for another minute or so. Add raisins and cook for about 30 seconds. Sprinkle curry powder, turmeric powder, and cayenne powder on top and stir to combine. Slowly add in the cornflakes, tossing gently to combine. Remove from heat and let cool for 10 minutes, then sprinkle with sugar. Notes: amounts of nuts, raisins, and seasonings are totally flexible! Adjust to your liking and consult Trisha’s original recipe for more suggestions. Be sure to check below for other recipes made by fellow SRC members this month! thank you, becca! it’s definitely worth a try 🙂 i’m not super familiar with indian food either but i’m learning! What a fun snack mix…this looks really yummy! Wait…now this is interesting!! I love the spicy mix!!! thanks, zainab! it’s almost gone and i am so sad!! haha. What an interesting snack mix! 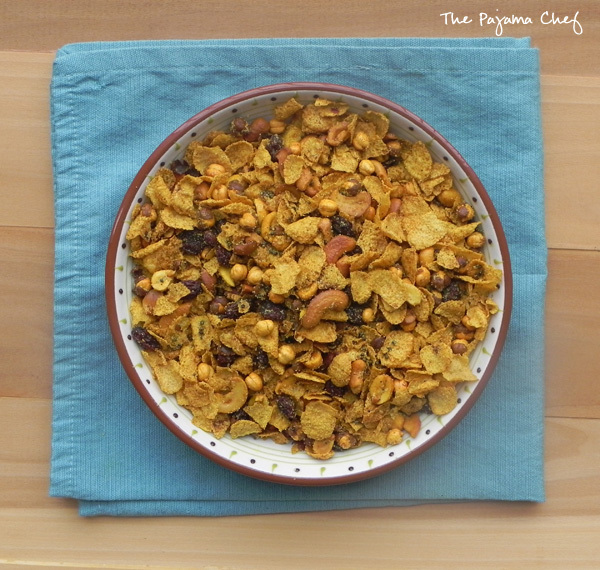 I don’t like cornflakes as cereal because it gets soggy too fast, but it is a great idea to use it in a snack mix. The flavors sounds awesome. I’m glad you decided to try this mix out Sarah, and glad you like it. My husband has been after me to make him some for a while now. I will probably whip up a batch today. thanks trisha! it was an awesome recipe & i had so much fun w/ your blog! This sounds so different. I’m so unfamiliar with Indian cuisine, but I love to try new things! I would definitely give this a try. YUM! These snacks are perfect for game day! yes, they are! thanks, elizabeth! What a great pick. A whole new purpose for cornflakes!